Christmas is a wonderful, magical time of the year. There seems to be a special feel in the air. Shoppers rush here and there to find that perfect gift to give to each person on their gift list. Beautifully decorated homes line the streets of neighborhoods. In general, people are a little kinder as they greet one another with holiday wishes. Added to all the merriment of the season are the glorious sounds of Christmas that permeate the airwaves – some new songs as well as the timeless classics that everyone loves to hear. Choirs and orchestras around the world, comprised of people of different faiths, present the beautiful story of Christmas with songs and music often including dramatic performances that help bring the extraordinary story to life. Perhaps of all the different choirs that sing out the wonders of Christmas, the purest music is that of the voices of children. The video was posted on her YouTube channel on 1 December 2016 and has garnered more than 3,000 views thus far. 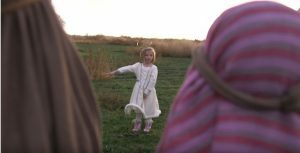 Choosing to film the video at her parents’ farmhouse seemed to be the ideal location as she tells LDS Living that her children love exploring in the fields and playing in the barn there. Her children also like playing dress up and being outside. Thus, all the pieces needed to make the video seemed to fall into place. Combine the backdrop with the children’s beautiful cherubic voices and the lovely piano playing by Monica, and one cannot help but feel the warmth and the love that the true Spirit of Christmas brings. 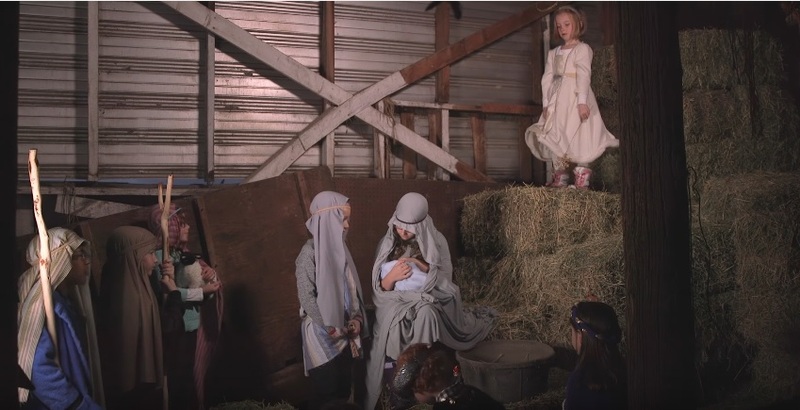 Towards the end of the video, as we see the children gathered around the manger where the Christ Child lay, we gain a sense of what it must have been like on that blessed, holy night when the Savior and Redeemer of the world – Jesus Christ was born.